Good morning friends. I hope you all have had a wonderful week. 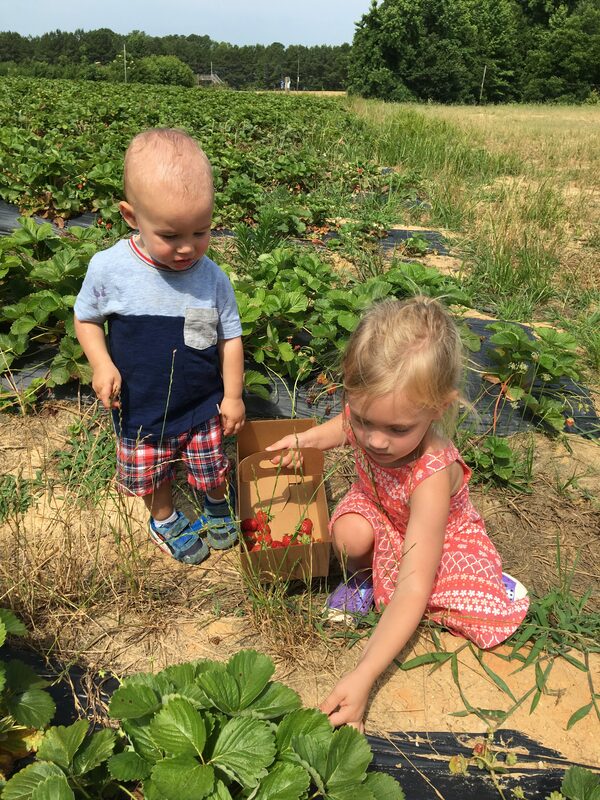 I took the kids strawberry picking earlier in the week and I think Parker was eating them as fast as we were picking. We still managed to fill up a large bucket to bring home and what we didn’t share with our neighbor we used for muffins and overnight oats. It’s safe to say we’ve had our fill of fresh strawberries this week. As for the weekend we don’t have a lot planned other than celebrating the dad’s for Fathers Day. Jason mentioned a trip to a brewery so we will probably do that and then spend the day at my parents pool on Sunday. I hope you all have a wonderful and relaxing weekend! I finished listening to A man called Ove from the library app on my phone. I wasn’t sure what to think of this book since I had heard mixed reviews but I’m so glad I gave it a chance. This book had me laughing out loud in parts and pulling at my heartstrings in others. It’s a sweet story about loss, friendship and curmudgeon old man who just wants to be needed. I can’t wait to give these muffins a try this summer. Another Friday, another book roundup. All of these look like perfect summer reading material. I’m on a major Mediterranean kick and this pasta salad immediately grabbed my attention. In case you missed it, I shared the love for my newest cook book. If your looking for ways to add more greens to your diet then I highly recommend The Book of Greens. A low carb and gluten-free big mac!